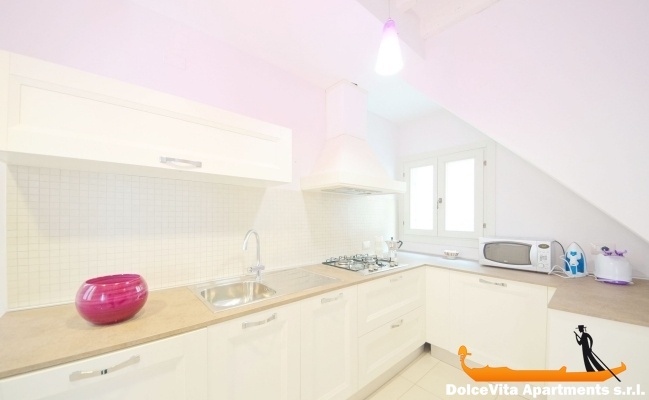 Apartment N. 139: It can accommodate up to 6 people, it is rented from 80 € per Night (not per person). This nice apartment in Venice of 85 square meters with two bedrooms is located in the heart of the Castello district and it is the ideal starting point to visit the Biennale, but not only, in fact, you will be close to the Arsenale, Saint Mark, Danieli; you can reach all the city’s attractions by walking or, if you are tired, you can catch a water-bus. The apartment has been finished renovating in 2013, it has fine finishes and is in full shabby chic style. 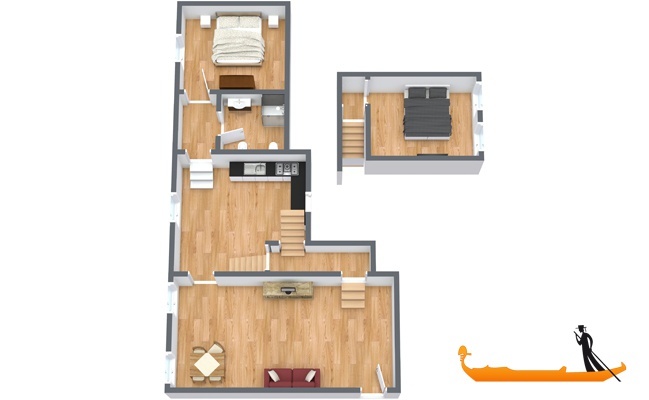 The apartment is a duplex: on the first floor there are the living room with sofa bed, dining table and TV, a kitchen, a bathroom with shower and a bedroom with the possibility to separate or merge beds. Upstairs there is the master bedroom. The apartment is equipped with Wi-Fi. I give the rating 4 for apartment 139. Good apartment with a fantastic location. We are very pleased with your service. Staying inside the 139 apartment was nice. The house has comfortable rooms that can accommodate up to six people, although having only one bathroom, living together is sometimes a bit forced. The location is ideal for those who, like us, had to visit the Biennale; it is in front of the only street of Venice, the historic district, remained intact. The lady who welcomed us was very polite and helpful. We enjoyed very much the apartment 139. The location was good, well renovated, clean and spacious. The air conditioning worked well. It was nice to find sugar, salt, coffee, oil etc left by past guests. The welcome by Valentina was punctual and cordial. The apartment is well designed, even with children we had enough space. It has an ideal location for sightseeing, water bus really close or even walking tour, the park is also close and with children that is ideal. The nearest shops are open for long periods of time, good quality products. Highly recommended. The apartment was very functional and we liked the location, not far from the center on foot and suddenly calm. The apartment was clean when we arrived. We were well received and we well communicated with Valentina for all information about our arrival and the meeting. The meeting took place at 14h as expected. Our stay was very well and we enjoyed every moment, especially the sunsets !!!! Very nice location with the garden and the shopping street at the end of the street. The apartment is well renovated. Reservation Service internet: Clear and effective. Apartment very beautiful, functional, well located. Good location - away from the busy touristic centre. The apartment is very well equipped ( including a good kitchen, washing machine, internet, good and spacious bathroom, etc.) 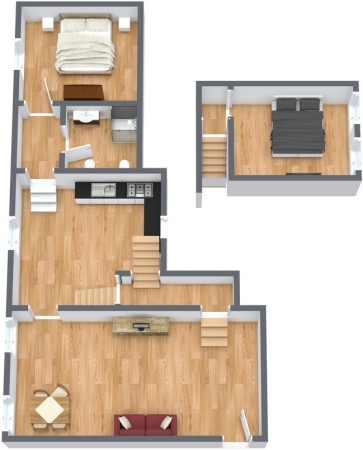 The apartment is clean and spacious with a perfect location in the city. Apartment clean, furnished simply yet tastefully, in a quiet and convenient area for shopping and to reach St. Mark, walk. Valentina welcomed us very well and helped us to organize better our stay and my husband's birthday. Good location, well equipped apartment.